Provides great bonding to all construction materials. Forms a uniform, waterproofing and high-strength membrane, without joints or seams. Its high elasticity bridges cracking and movement of substrates. An advanced, elastomeric, water-soluble coating that creates a water-proof, elastic membrane that can withstand circulation on terraces. It does not create a viscous surface and is not affected by pooling water. It is characterised by high reflectivity of solar radiation and a high heat emission coefficient, thus achieving classification among cold-thermal insulation paints. (Certification by the Physics Applications Sector of UOA). 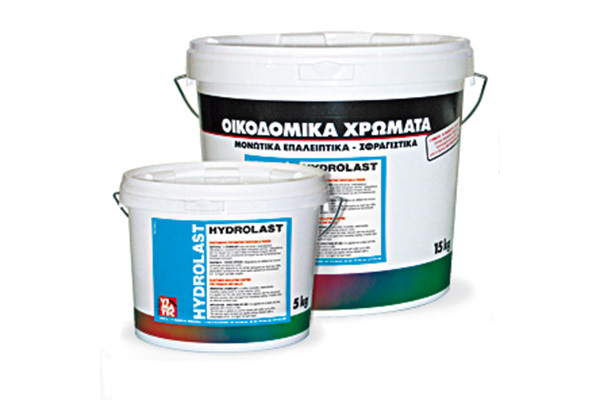 Elastomeric waterproofing coating for roofs and walls. Applied to all structural substrates providing great bonding to the side the water presses the construction elements. Creates a uniform elastic membrane which provides waterproofing and sun reflective protection. 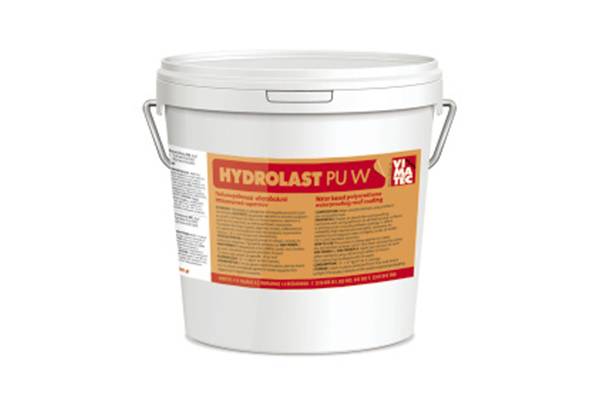 Used on all substrates (concrete, mosaic, cement tile, marble, ceramic tile) as a first waterproofing layer and to restore existing acrylic or polyurethane coatings. 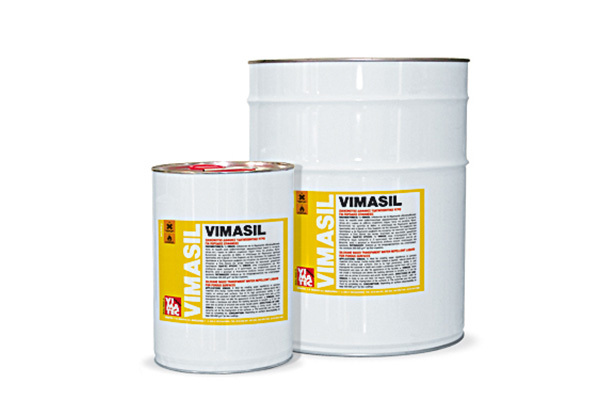 Ensures long-term protection of polyurethane insulation. It provides accessibility (high mechanical tolerance), resistance to time and pooling water and bridging of cracks 1.0 – 1.5 mm wide (exceptional elasticity). Waterproofs outdoor absorbent or/and cracked wall surfaces. 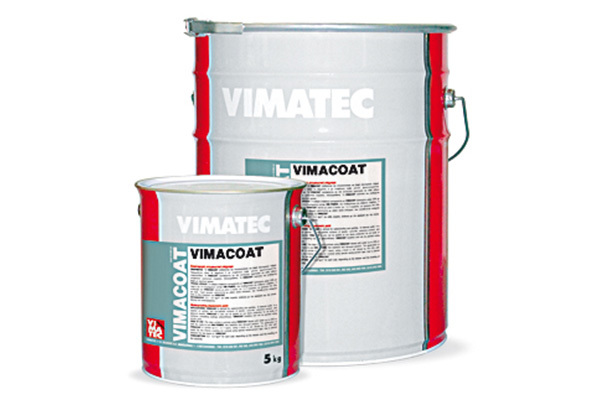 Provides protection from sun on bituminous and insulation coatings (e.g. polyurethane). Insulates roofs from asbestos cement. Indoor application where frequent wall washing is being required. Diluted with water. It reflects and emits solar energy that affects the external walls, thus reducing their temperature, as well as the heat that penetrates inside the building. It provides water-proofing by bridging any hairline cracks on the surface. 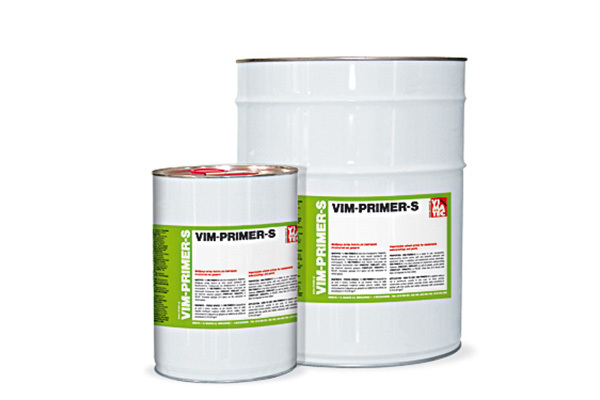 Ready to use primer which provides high penetration and bonding. Stabilises and waterproofs rotten and porous substrates. Does not change final paint. Deeply impregnates the porous substrate and makes it long term water repellent, without creating a surface film. It is advisable for applications on fair faced masonry and concrete, non painted plaster, natural or artificial stones, non glazed tiles. 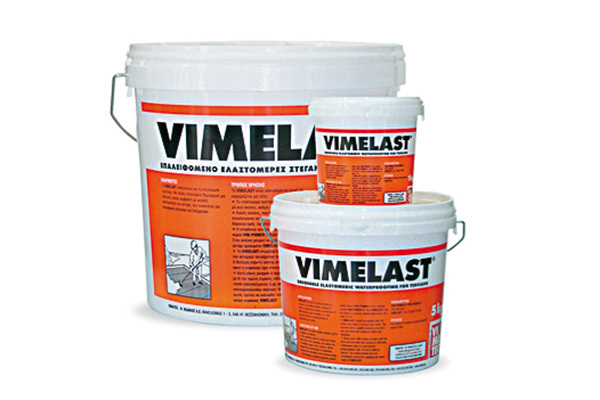 Also suitable for waterproofing of tile joints. Protects from salts and frost damages which usually appear on wet surfaces.